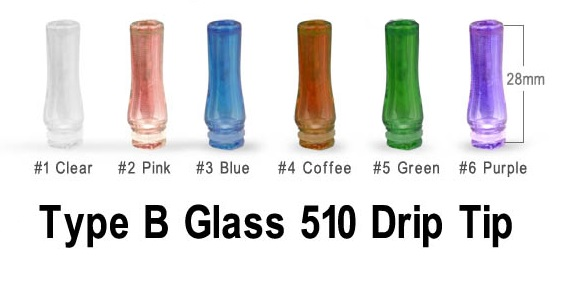 It is the latest drip tip 100% made by glass. With a drip tip,you can directly drip ejuice into the electronic cigarette atomizer or ecig cartomizer. Designed for Joye 510 atomizer. Can fit most atomizer or cartomizers which diameter is 9.2mm(0.36in) or so.